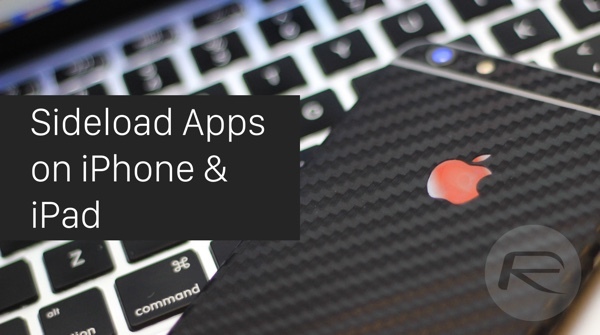 In the immediate aftermath of Apple’s WWDC 2015 keynote, we brought you the news that the Cupertino company now allows sideloading of iOS apps without the need for a paid Apple Developer Program account. Installing apps outside the jurisdiction of the App Store, without a jailbreak or a paid developer account, with the use of just Xcode may seem a little convoluted to a large percentage of the populous, but to others it should just be a walk in the park. 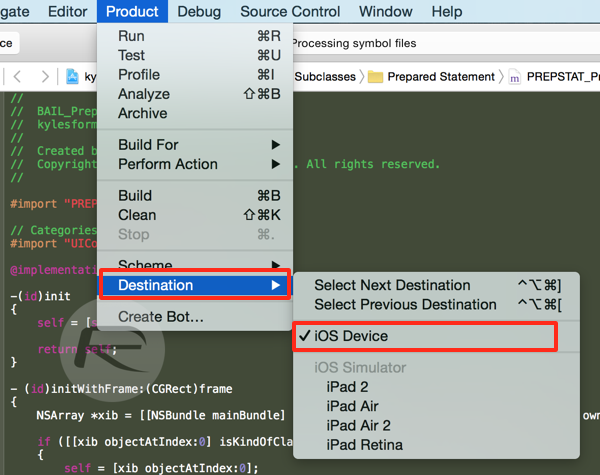 Follow the relatively simple and easy to understand steps below to get up and running with sideloading iOS apps using the latest beta of Xcode 7, all for free. 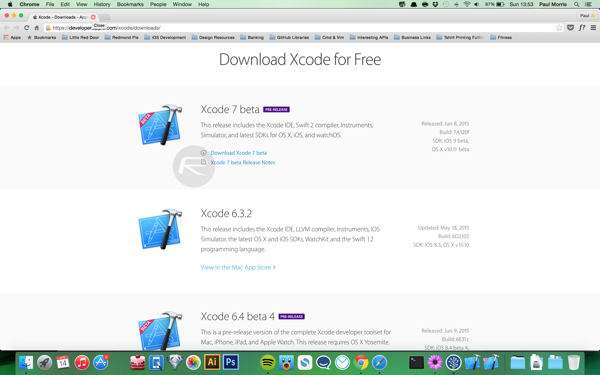 Step 1: Download and install the latest Xcode 7 beta release from here. The latest beta can be found in the downloads section of the dedicated Apple Developer Program portal. Step 2: Launch Xcode 7, allow any installation processes to complete before selecting ‘Xcode’ in the Menu Bar then ‘Preferences.’ These installation processes may involve having to agree to the terms and conditions as well as entering the main administrator password of the Mac you’ve installed it on. 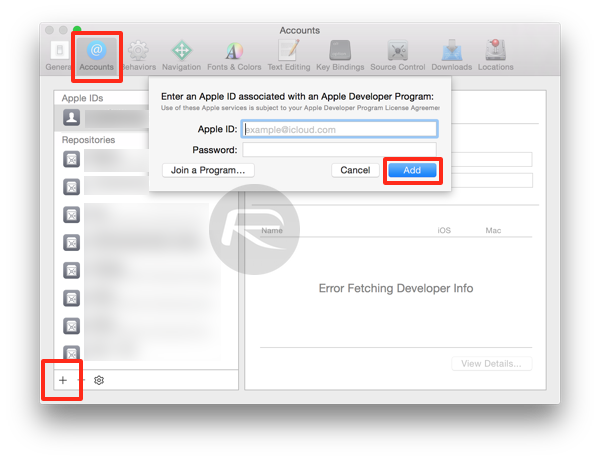 Step 3: Under the ‘Accounts’ tab of the ‘Preferences’ menu select the ‘+’ button and choose ‘Add Apple ID…’ to add a new account. Log in with your Apple ID. 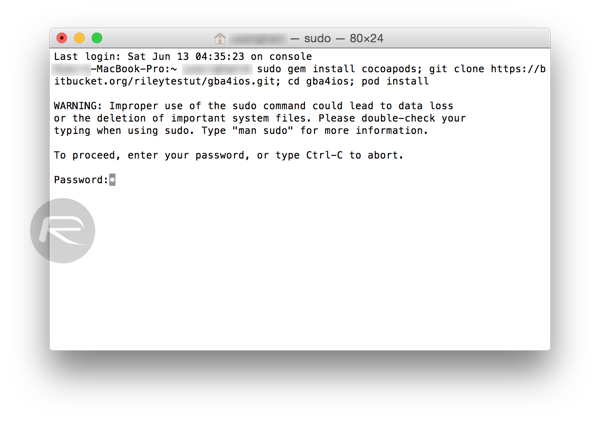 Step 5: Now once you have your desired app project open in Xcode, plug in your iOS device via USB and select it as the build destination. To do this, click on ‘Product’ from the Menu Bar then ‘Destination’ and select your connected device. 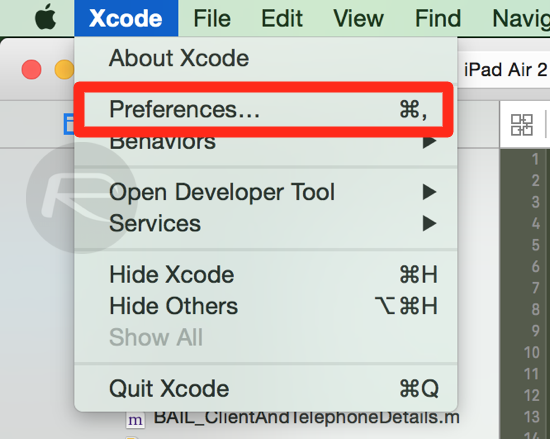 Step 6: In order to install the app, Xcode requires a code signing signature. Click on the project name on the left-hand side of Xcode. Add a unique ‘Bundle Identifier’ under the ‘Identity’ header. This usually takes a reverse domain name format but can actually be anything you wish. Step 7: A warning message of “No matching provisioning profile found” will appear in that same window. Make sure your name is selected in the ‘Team’ box and then click on the ‘Fix Issue’ button underneath it and allow Xcode to, well, fix the issue. Step 8: Provided everything is actually alright with the source code – there’s no compiler warnings or critical errors within – Xcode 7 beta should sideload the app and run it on the destination device. Any procedure that involves compiling source code is going to be somewhat flaky. Sure it will work, but it’s nowhere as easy as doing it in Android. Well, this is better than nothing. Can one sign an ipa file such as moviebox and install it? Or how do I get the source code of movie box? Is the cydia package the source code? Because this hasn’t been made to help you pirate apps. Stop calling it “sideloading”!!!! This is not sideloading, this is compiling and pushing an app to your phone. Sure, it’s great for developers, but it’s not for pirates! Who said anything about pirating apps? Sorry, it seemed you were referencing pirating. So once complied, would you say the app is “loaded inside” your iOS device via Xcode7? Unless pirates have the source code for the pirated apps they want to compile then push onto their iPhone, this isn’t going to really increase piracy. Downloading a pirated .IPA doesn’t mean you have the source code. Rather, this move is great for people who want emulators and homebrew apps. For all the folks out there looking to սոⅼοсking AT&T phones, you are able to google just google atttiphoneeuunlocking, we can սոⅼοсking most of the AT&T phones up to date, including the modern 6S and 6C. How do I do step 4? how to run xcode on window ? Can you give a link please ?